It's really been much longer than I intended between posts. It's not that I haven't been crafting I think I've just been trying to spend less time on the computer. I spend all day on it and even now my eyes are tired. I spent Memorial Day weekend mostly in town but did venture to Santa Barbara for a day trip to visit my great-aunt. 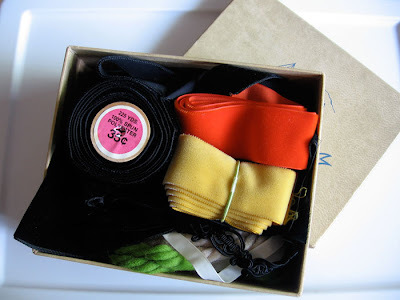 She had more goodies for me, pictured here. 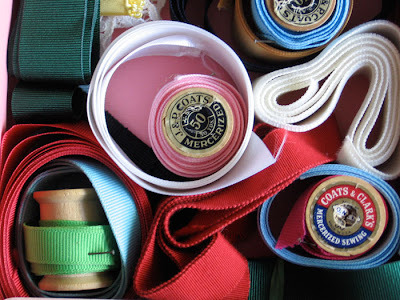 I couldn't resist these boxes of ribbons, button makers and patterns. 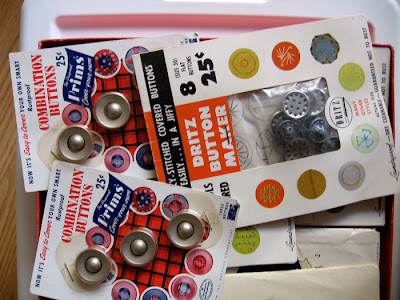 I've never seen button makers like those. They use two pieces of fabric, one ball in the center and a ring around it. 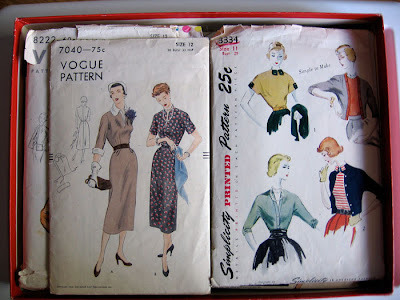 Vintage patterns are so inspirational! 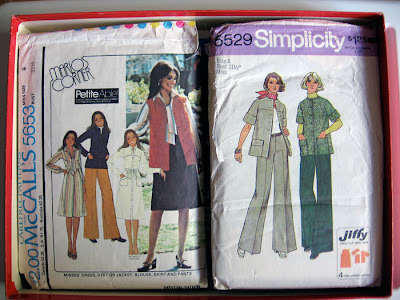 Do you have a favorite vintage pattern or something you're searching for?